These no-bake 2 ingredient cake batter cheesecake bites are the perfect treat to make this summer to tame your sweet tooth and keep your house nice and cool! Kids love helping make these too! From mixing the softened cream cheese into the cake mix to rolling the balls out, it’s a fun intro to kids in the kitchen. For the first few years Alex and I lived together I could probably count on one hand the number of times we turned the air conditioner on. We lived in a second-floor apartment and lived with fans running constantly but we loved the fresh air and the low cost. It wasn’t until Ryan was born at the start of summer we became dependent on cooled air to keep his little newborn booty safe. Even now, we try to use the air conditioner as little as possible. You can usually find every window housing a fan to help circulate the air in our little house. Because of this, the oven usually becomes a last resort kind of thing – either we grill or it’s no go for us. That’s fine for breakfasts, lunches, and dinners. Once the weather gets warm I want very little more than overnight oats and salads the size of my head. But if you’ve got a sweet tooth as vicious as I do, you need options to tame the beast, my friends. Now, I love ice cream, probably more than the average human. I’ve been known to eat bowls of the good stuff in the middle of January wearing 3 layers to keep warm. But sometimes you want something different. That’s where no-bake recipes come in. 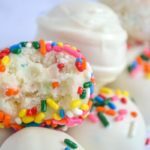 That’s where thes ridiculously easy and delicious no-bake 2 ingredient cake batter cheesecake bites come in. I’m not going to lie. I feel almost like a crook posting this ‘recipe’ because it’s just so simple. 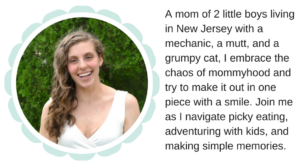 But it’s also the perfect kind of thing to make on a rainy summer day with your kiddos when they’re driving you insane. Mixing the cake mix into the cream cheese. This is especially perfect if you’re using a stand mixer. Adding extra sprinkles! It’s definitely open to more/less sprinkles so perfect measurements aren’t necessary. Portioning and rolling the cheesecake bites. I like to use a small cookie scoop, but a spoon would work fine. Rolling in powdered sugar or sprinkles. Sprinkling toppings if you choose to dip in white chocolate. 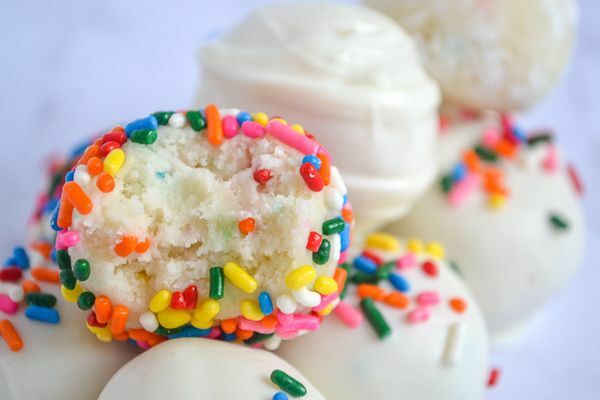 Cake batter cheesecake bites are easy to make and a fun way to get kids involved in the kitchen! Enjoy on a hot summer day without heating up the house or just as a fun, simple, everyday treat. 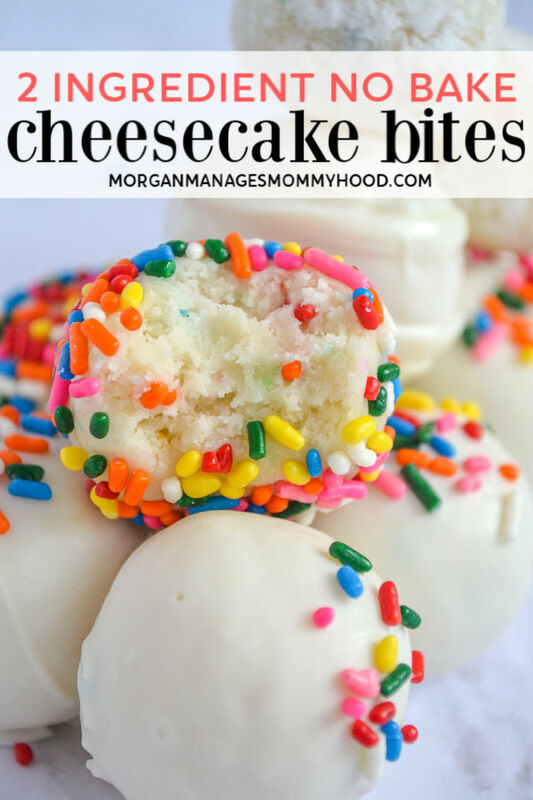 These no-bake 2 ingredient cake batter cheesecake bites are the perfect treat to make this summer to tame your sweet tooth and keep your house nice and cool! Cream the cream cheese until light and fluffy with a hand or stand mixer. Add in the cake mix until completely combined, and allow to sit for about 1 hour. Roll into balls about 1 tablespoon in size and enjoy. 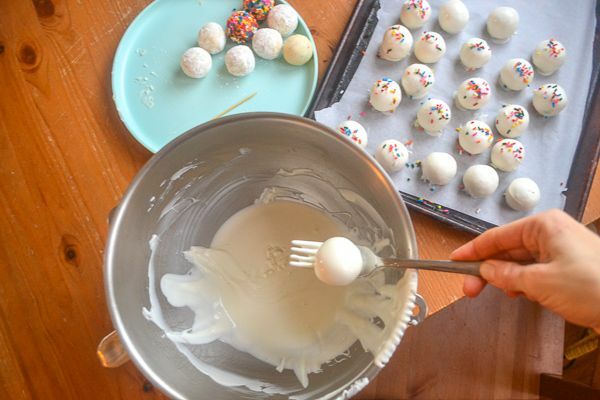 If desired, roll your balls in powdered sugar, sprinkles, or extra cake mix. You can also dip them in melted white chocolate and top with sprinkles. I recommend using Funfetti cake mix because sprinkles are fun, but if you use a white/yellow cake mix feel free to add 1/2 cup of sprinkles to your mix before chilling. Okay, so tell me – what’s your favorite summer treat? Are you a fan or AC family? Sprinkles – yay or nay? These look SO good! I’m going to make them for my husband for Father’s day, yum!